If you haven't read on the news you may have missed the reported 'climate catastrophe' that is going on (if you want to read more about this the full article is here). It has basically been found that climate change is happening at a much faster rate than anyone imagined and it's not good. While a lot of the action needed to be taken relies on the government funding and supporting alternative methods for energy, a lot of it also relies on ourselves. As a university student there are little changes that I've tried to make in order to be a little more eco-friendly. Today, i thought I would share these with you for if you are a uni student or if you're looking for some little ways to contribute to the reduction of global warming. 1. Reusable Cups and Tupperware. I have made myself a promise that, instead of wasting money one one-use coffee cups, I'm only allowed to treat myself to a coffee or hot chocolate on campus if I remember my reusable mug. I got mine from Amazon (similar here) and it's a great size. A little bonus for bringing your own mug is that many places offer you a discounted drink if you use this. I've also decided to ditch the one use plastic bags to freeze leftovers and to now on just use Tupperware. This also includes for lunches; investing in a small lunch box, in the long run, is so much cheaper than continually buying little sandwich bags. You never know when you're going to nip to the shop and end up picking up more than you can carry. Keep a small tote bag inside your bigger bag or one of the nifty fold-up ones means that you're not having to buy a plastic bag that you're probably going to use a few times but it's going to end up breaking anyway. Having a little reusable bag for life is another small investment that you will thank yourself for having in the long run. We're all human and so buying too much food or having leftovers that will just go to waste can be a regular occurrence. To try and cut this down, I've made more of a conscious effort to plan my meals ahead of time and, if anything needs to be frozen before it goes out of date, to make sure it's done. Not only does this save money but it means there's less waste at the end of the week from food you've not had time to use or you bought too much of. 4. Cut down meat and dairy consumption. While I would love to be able to commit to vegetarianism in the future, right now I'm trying my best by only eating meat once or twice a week with the rest of the time opting for vegi alternatives. Not only is this cheaper but I also feel a lot healthier by doing this. If you're starting out and want to make an effort ever little helps; whether it's just one day a week you don't eat meat or you decide to swap cow's milk for almond, it's still a great step that you'll thank yourself for later. 5. Ditch the plastic- buy loose veg. This is something I love to do. Being able to pick up your own vegetables and weigh them yourself takes me back to primary school and playing shops in reception. Except, now it's with real veg rather than plastic carrots. This one thing I've really focussed on recently and that's either taking my own reusable bags to buy my loose veg or just having loose as there's no harm in that either. I will also pick the loose veg over the packets where the option is available which helps stop me over buying as well as actually making my weekly shop cheaper. 6. Buy more locally sourced fruit and veg. Morrisons is my local supermarket at the moment and one thing I appreciate is their stand where you can pick up 6 eggs for £1 that are locally sourced. While I try and cut down the amount of eggs and dairy I'm having, I feel this is a better contribution than to buying supermarket's own eggs. Most towns also have a great market and that's true of York. We have a great market with some really good fruit and veg stalls. This is something I'm trying to encourage myself to do more over the next few months to help support local business and pick this over more mass produced veg. 7. Forget the tumble dryer and air dry clothes. While it's tempting to just shove your clothes in the tumble dryer, half the time it's not even dry after the time it's had so, instead, why not just air dry it. Yes, it takes longer but it's saving so much energy that could be used for things that need it more in the house. 8. If you can, walk. If you can't, get the bus. This year I've realised how close my house is to the city centre and so instead of catching the bus for 5 minutes, I've been walking for 15 minutes which helps me get some fresh air and saves me money on a bus trip. When I'm going further a field I will get the bus but that's still better than driving. If you have a bike, why not cycle instead of driving. It's all good exercise and it's really helping in the effort to cut down energy. 9. Save energy to save on your bills. It's something we get taught when we're really young but I'll be the first to admit it, it's something we all forget. The simple act of not leaving appliances on standby, turning off lights when you leave a room. It's little things that might slip your mind but making the conscious effort to do helps that little more. 10. There's nothing wrong with second hand. 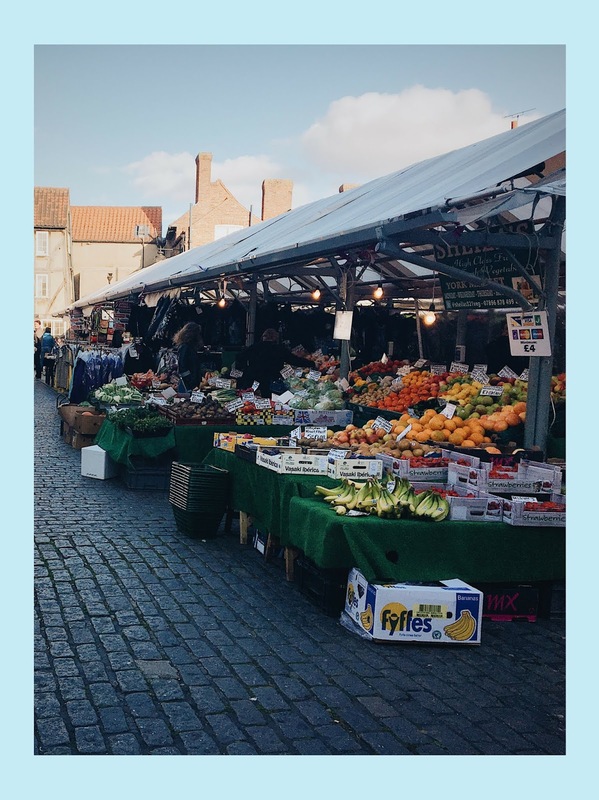 Conscious shopping is something I'm interested in covering more on my blog in the future (if this is something you fancy a few posts on let me know!). I'm becoming more and more aware of how wasteful having so many clothes are and how un-environmentally friendly buying mass produced and fast fashion is. By buying from charity shops and second hand stores, you're not only may be giving a little to charity while getting some bargains, but it's also helping cut down the waste as many items of clothing that may have only been worn once are constantly going to waste. Do you have any ways you try to be a little more eco-friendly? I'd love to know! So you may have seen me mention that I've decided to stop posting my "RECENTLY READ" posts. After a few years of constantly reviewing every book I read I've kind of become unmotivated to post about books that I haven't enjoyed. Paired with the want to share more of the films and videos I've watched; articles and blogs I've read; podcasts and music I've been loving, I thought I'd bring it all together. 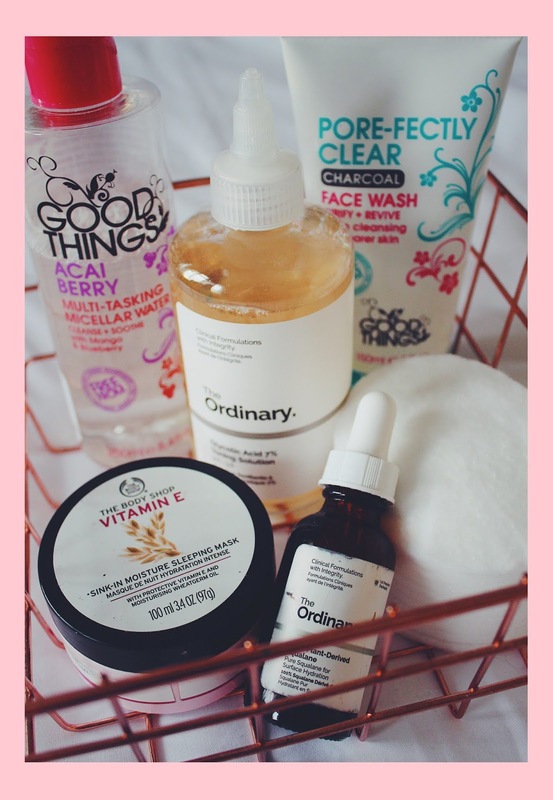 Every so often, I want to share with you all of these things and here is the first instalment in hopefully a line a posts that you can gain some fabulous recommendations from. 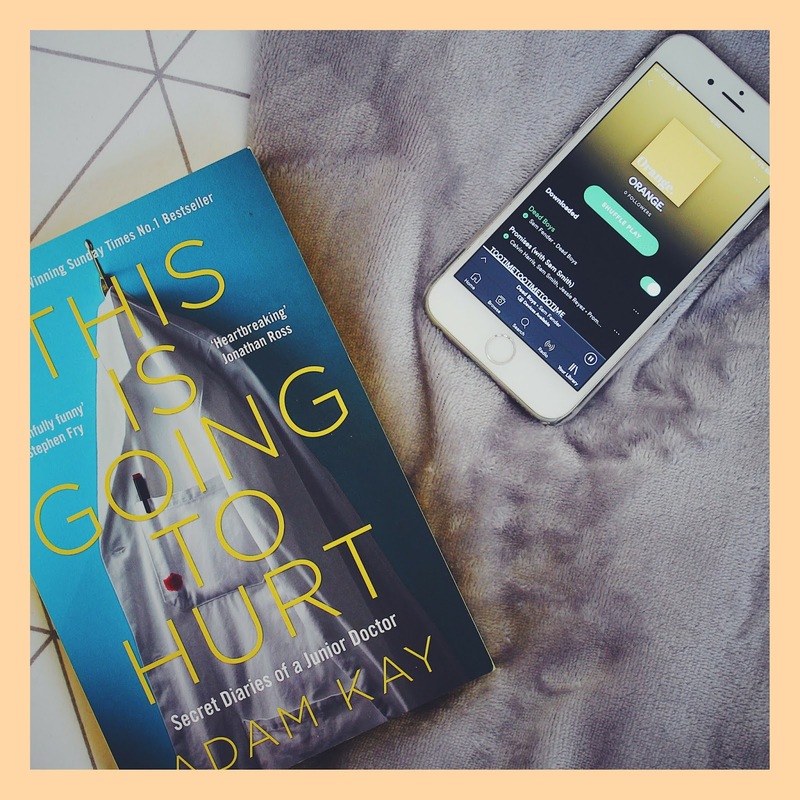 "This is Going to Hurt" by Adam Kay. This is one of the funniest books I've probably ever read. Hearing the stories that Kay experienced as a Junior Doctor has me in stitches. But, what I loved most about this book is you could be laughing one minute and ten seconds later almost crying at this doctor's experiences and the patients he encounters. This book is obviously intended to be funny but it has such an important message about how doctors in the UK are treated; worked to the bone and get little to no recognition to the good they do. It talks about the emotional and mental toll being a doctor takes on their health and how the support available to them is basically zero. From this book, I have an increased respect for the doctors who work within the NHS. It's a book I'd recommend anyone (who isn't too bothered about some slightly gross medical situations) to give this a read; you won't be disappointed. If you want to keep more up to date with the books I've been reading recently, head over to my good reads. If you haven't been watching this six part series on the BBC, get yourself on iPlayer and give it a watch. It follows a man who is ex-army and has now been assigned as the Home Security's personal body guard. From the first 15 minutes of the first episode I was gripped and each episode brought more action and thrill that made a great storyline. With the finale just last week, I still can't stop expressing my love for this show to anyone I talk to. I've been following this YouTube channel for a while now and I thought it's time I try and encourage any of you to go and give it a watch. It's a channel dedicated to, may be not surprisingly, Korea but is run by an English man who lived in Korea and wants to share his love with everyone. He's definitely done just that as I'm constantly wanting to try the Korean foods he shows in his videos and wanting to visit the places he suggests. Korea was a a country that I didn't really know too much about but this channel has really sparked an interest for me. I recently had a tidy up of my Spotify playlists and have decided to split them up by genre and give them a colour. My Orange playlist is dedicated to songs I'm currently loving, just released and ones I can't get out of my head. If you want to listen to that playlist or check out my others, see the link above! Sam Fender is a singer I saw supporting "VANT" last year and since then I saw him at Community Festival over summer and have tickets to see him again in York at the end of October. I absolutely love his sound and his songs were always my option for when I would be walking home from work. His recent release "Dead Boys" is another good song which has received a lot of plays on Radio 1. It's a song about male suicide around where he lives and so it's a great song with great meaning. He recently did a small live set on Radio 1 so I'd recommend giving that a listen here if you're interested in hearing a bit about his music as well as his fabulous live vocals. I've been trying to get back into podcasts recently and this was one I stumbled across which is right up my street. It speaks about the cult that was Heaven's Gate who were a UFO religious group in the US. In 1997, police discovered the bodies of its members after they participated in the biggest mass suicide in US History. The podcast talks about the beliefs of the group and how they went from a small, harmless group to the change in belief that led to their mass suicide. I'm a few episodes in and I'm finding it so interesting especially learning about sects and cults similar to this in college a few years a go. What makes this podcast even more interesting is that the host was once in a cult himself and so he uses his experience to explain some of what happened as well as sharing how and why people get attractive to groups such as Heaven's Gate. If you're a fan of documentaries like Louis Theroux's scientology documentary I think this podcast may be one you like. I listen to it on Spotify but it can also be found on Stitcher and other platforms. Hope you liked these recommendations! Let me know if you've read, watched or listened to any of these, I'd love to know your thoughts on them.